If I quit my job what happens to my Comp claim? Greenville NC Work Comp lawyer Kevin Jones can help answer your questions about disability benefits. Question 1: Can I still get disability benefits for a workplace injury in North Carolina if I quit my job? Yes, you can still follow worker’s comp claim even if you have voluntarily quit your job with the employer where you were hurt. It can complicate things depending on the circumstances as far as what benefits you will recover. Oftentimes, when the person leaves voluntarily, there will be a refusal when that person is out of work in the future by the worker’s comp adjuster to actually pay for any disability benefits. That doesn’t mean that you’re not owed some benefits. Question 2: Do I need a Workers’ Compensation lawyer to file a claim? It often helps. That’s because if you have been injured at work and deserve benefits, the process for figuring out how that all works can be quite complicated. Even if you are entitled to benefits under the NC Comp laws, sometimes claims are denied improperly. 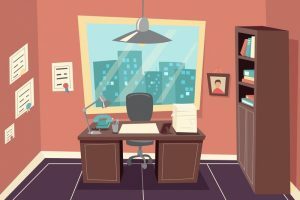 Timing is key in making a claim for injuries in that there are important filing deadlines; but, it is also important to begin treatment / seek medical care if you were injured at work in North Carolina. If you are looking for legal representation for a Greenville NC Work Comp claim, we’re here to help. We normally like to meet with clients immediately to start gathering evidence and making sure your legal claims for workers’ compensation are properly preserved. Our law firm helps people throughout eastern North Carolina. 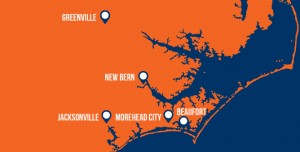 In fact, we have law offices in New Bern NC and Morehead City and Jacksonville North Carolina and Beaufort in Carteret County. Read More: Can I Apply For Social Security Disability? 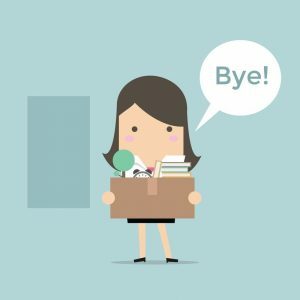 Question 3: Does it matter if I voluntarily quit my job? What happens if I was fired for making an Work Comp claim in NC? You may be, particularly if you’re getting taken out of work from another job, for example, to have a surgery done. Just because you had left the previous job to take another one doesn’t mean that you’re not entitled to those benefits while you’re out for that surgery. It’s not the end of the story. MORE INFO HERE: Can I Get Lost Wages From A Second Job? 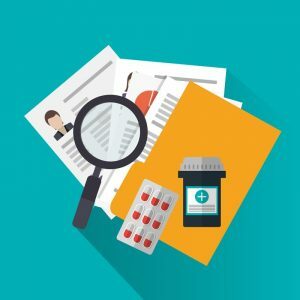 Obviously, it doesn’t have any effect on what medical compensation may be owed if you’ve left the job, but it also doesn’t necessarily mean that you’re not entitled to disability benefits you may very well be. Sometimes you’re receiving a disability check when you do leave the job. That can be difficult. There are reasons people want to do it. I would say if there’s a way to get some legal advice from a worker’s comp lawyer before you do that, that’s the better course of action, because you don’t want that resignation to be used against you in the workers comp claim if you can help it. For this question, or any other questions you may have about your worker’s comp claim, give me a call.